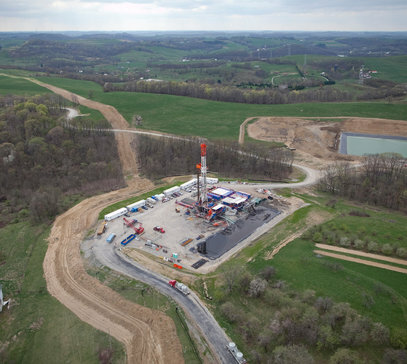 COLUMBUS, Ohio – Rules regulating oil and gas well construction, water handling, and chemical disclosure in the fracking process are on their way to the governor’s desk for John Kasich’s signature. O’Brien’s Democratic colleagues, Ron Gerberry and Tom Letson, voted in favor of the legislation. Bob Hagan voted against. His attempt to add an amendment that would guarantee Ohioans would get 60% of the jobs was tabled. “Drive down to Carroll County. Drive down to any of the roadways where they’re into that drilling. Drive into the hotels and motels and look at the license plates. I did. Oklahoma, Texas, not to many Ohioans,” Hagan said. In a concurrence vote, the state Senate approved the House’s amendments to the bill in a vote of 21 to 8. “There was nothing in the bill about the public’s ability to give feedback in the permit process. So I tried to amend the bill to have a 30 day comment period just so that the public knows where these wells are going to go and when they’re going to go in,” Schiavoni said.